Keep it short and simple! 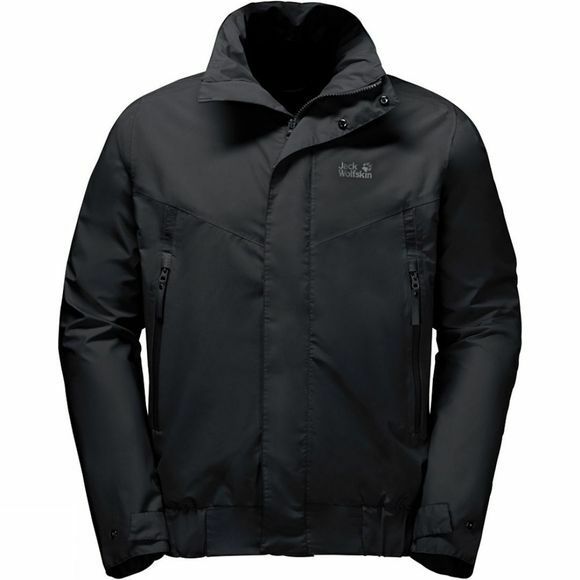 The Mens Brooklyn Blouson from Jack Wolfskin represents a stylish look to weather protection. This waterproof city jacket has the typical blouson features; a shorter cut with plenty of freedom of movement and an elasticated hem. The hem isn't just a stylish detail it also keeps out cold draughts, while the hood is hidden in the collar ready for action when you need it.